Pros: Interactive activities help kids visualize and learn about plate tectonics; bonus activities assess learning. Cons: There aren't any practice activities, so kids will need some prior knowledge of the concepts or they might get frustrated when they lose points right away. 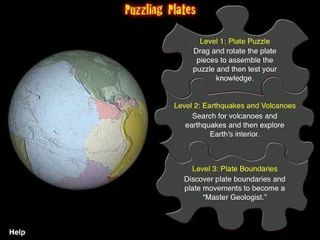 Bottom Line: This great Earth science tool gives kids an opportunity to interactively explore concepts related to plate tectonics.